The only Chamorro-style cuisine in San Diego proper aka plate lunch. Red rice and chicken kelaguen. You’ll know you find it when you see Hafa Adai and/or Fokai stickers. To be honest, it’s hard to come with this post. It’s the same feeling when folks try to describe Guamanian/Chamorro-style food to a newbie. What is it? Even popular Hawaiian food directory, ILoveMusubi.com, has Chamorro Grill listed as one the places to eat. So I guess you gotta start there. Because of colonization Chamorro cuisine is like Hawaiian cuisine, a mashup of different cultures that have come through the island including Spanish, Micronesian, and a bit Filipino too. So there’s that tough intro. 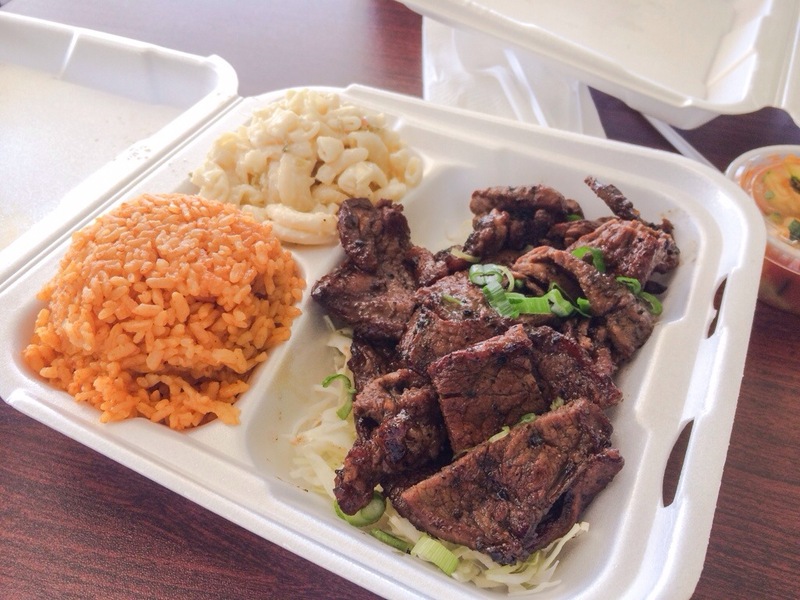 Chamorro Grill isn’t anybody’s secret. It probably shouldn’t by now since it’s been open in the Grantville area since 2009. I don’t exactly remember when I started rolling through, but do I have a soft spot for Chamorro food because of long breaks between classes at San Diego State up the hill forced me to try other options off campus. 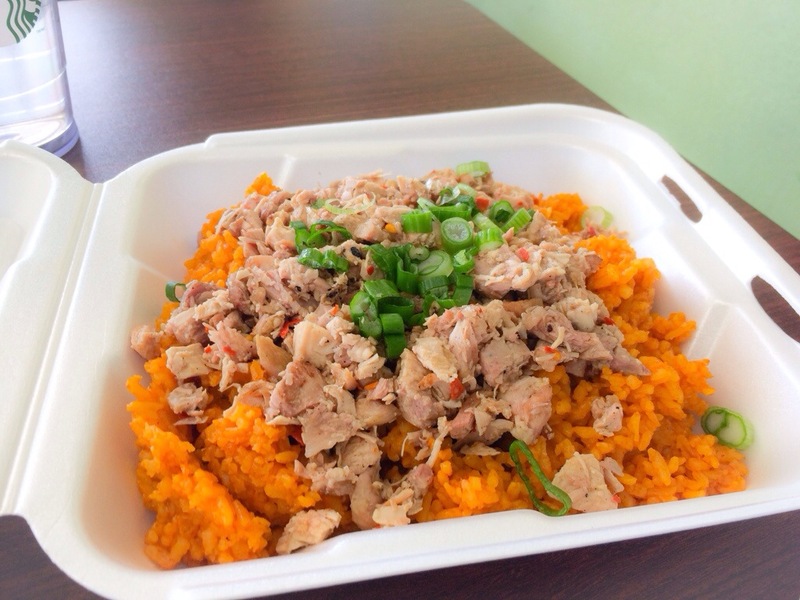 The main reason to drop by is to have Guam’s signature dish– red rice and chicken kelaguen (pictured above). Red rice isn’t spicy-hot by the looks of it, nor does it have Spanish flavor. Chicken kelaguen is basically chopped grilled chicken marinated in pepper and lemons. Like hella lemons. Like you have to chop down the lemon tree in your backyard. Honestly, I feel like the chicken kelaguen is the most consistent item on the menu. Obviously also had the barbecue beef too, but I’ve had it a few times where I haven’t gotten as much or the flavor’s been bland. Don’t be shocked that there are non-Chamorro items on the menu like lumpia. It just comes with the territory of being brown and serving brown people food to those who are unfamiliar with the cuisine.